Anasayfa » Renewable energy » What is the wind energy? What you need to know before knowing what Wind Energy is is winds of certainty. 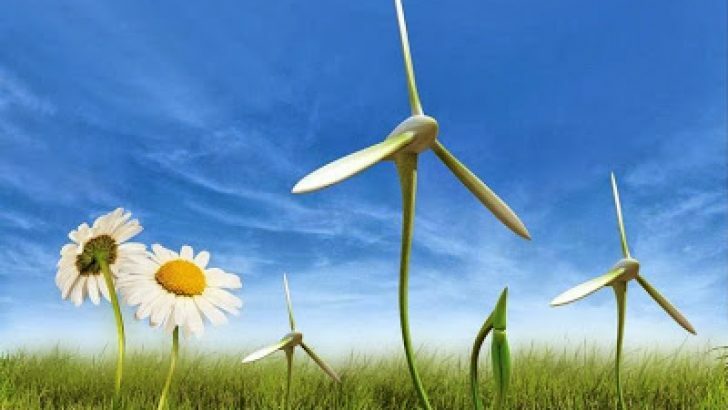 Without understanding what the wind is, it is quite difficult to understand the system of generating energy with the help of wind, that is, the wind energy system. With this field of research and engineering studies done for years, we can produce electricity from wind energy today. It forms the basis of air movements, and the reason for the winds is that the atmospheric pressure is found in different values ​​and proportions between different regions. The wind is the flow of air in the high pressures in the different regions that are displaced by the low pressure in the different regions, the winds always moving from the high pressure area to the low pressure area. The greater the difference in pressure between the two different regions, the greater the rate of air flow. According to the speed and the severity that the wind has, it takes names like breeze and storm. Wind roses are used to detect the wind direction, and anemometers are used to determine the speed of the wind. The anemometer is as simple as a wind gauge that shows the speed of the wind, taking advantage of the speed at which a wind rotates a propeller. The winds in the highs are measured with the help of balloons. When the balloons, known as rising speeds, reach a certain height, they can not resist the speed of the wind and start to travel with the wind speed. The movement of the balloon is observed and then the velocity of the wind is calculated by calculating the path that the balloon reaches at the unit time with the trigonometric calculations. For more precise measurements, refer to the balloons again, but this time the balloon is either followed by a radar or a radio transmitter is mounted on the ball. It is observed that the winds, which have a great role in the currents and waves of the oceans and even in the formation of the gigantic waves, also cause the change of the black shapes .. Especially in the desert, the shape of the sand constantly changes. Wind plays a very important role in the continuation of the plant neslination by carrying the plant spores of the winds, ie plant pollen, to fertilize the flowers. Wind energy and sailing yachts also benefit from wind energy. Bir önceki yazımız olan Why Solar Energy? başlıklı makalemizde renewable energy, renewable energy sources ve Solar energy hakkında bilgiler verilmektedir. Selami Şerifalioğlu What is the wind energy? Çağatay Turgut çok güzel.